Given below is a list of 12 biggest and best solar panel companies in the world. The list is dominated by Chinese players. While no particular order of ranking is followed, we have taken into account important factors like production capacity, shipment guidance and emerging technologies while including the companies on our list. Do let us know if you think any of the other solar companies could also have been included. The company manufactures for domestic distribution, captive consumption and also ships to international key markets including the U.S, Europe, India etc. 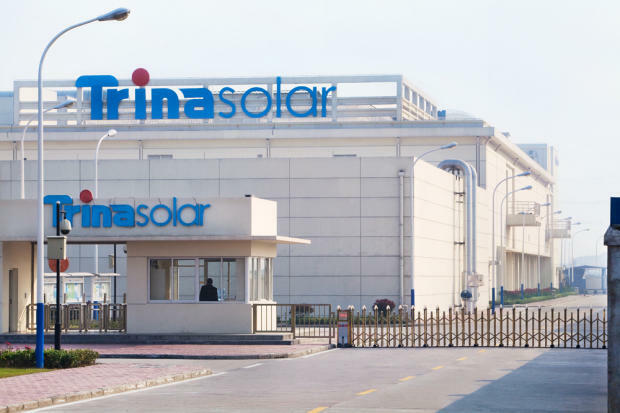 Trina Solar is a leading global PV module manufacturer and has provided a shipment guidance of 6.3GW to 6.55GW for full year 2016. 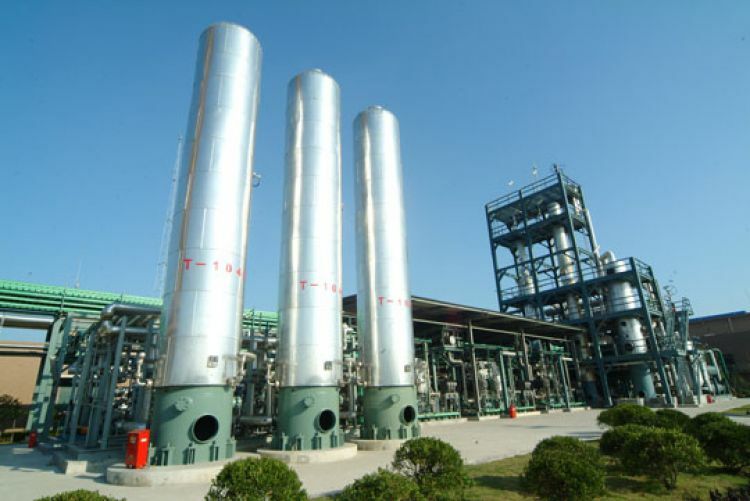 The company also has a presence in the downstream project business and has grid connected 1,267.6 MW in China (including 250 MW of DG projects), 4.2 MW in the U.S., and 31 MW in Europe. Its R&D team has set a recent world record of 19.86% aperture efficiency for its high-efficiency ‘Honey Plus’ multicrystalline silicon modules. 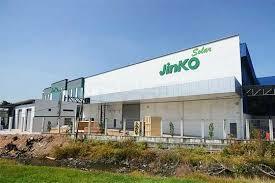 JinkoSolar also sells electricity in China, and had connected approximately 1,314 MW of solar power projects to the grid till date. The company’s productions facilities are located in China and Malaysia and it has subsidiaries and sales offices globally. JinkoSolar has guided 2016 full-year shipments to be in the range of 6.6 GW to 6.7 GW. 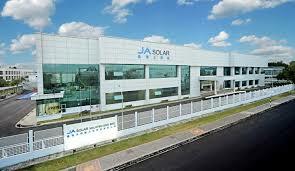 JA Solar is a vertically integrated solar company founded in May 2005 in China. 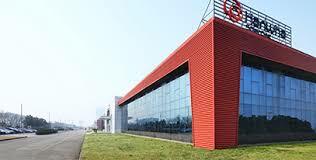 It has eight production facilities worldwide. Its silicon wafer, cell and module production capacity has reached 2.5 GW, 5.5 GW and 5.5 GW respectively. JA Solar has guided 2016 shipments between 4.9-5 GW. The company has achieved global shipments to the tune of 18.7 GW. The company’s key markets include China, Japan, USA, Europe and others. 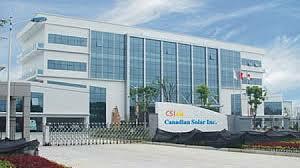 JA Solar is known for its highly efficient products and is highly bankable. Panels – 5.8 GW from 4.33 GW currently. 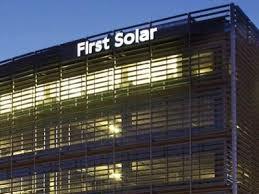 First Solar is a leading thin film panel company in the US. The company’s thin film (cadmium-telluride technology) modules have started becoming mainstream. These panels no claim to be more competitive and efficient in terms of energy generation in high temperature climates such as India and the Middle East. The company has made impressive gains in efficiency over the last few years. Its solar panels have reached an efficiency of 16.5%, making it equal to the multicrystalline solar panel efficiency. Th company’s great R&D team needs to be applauded for this achievement. First Solar is a leading utility scale PV power solution company. Though it as a limited presence in rooftop solar. Moreover the company is now starting to increase its geographical presence to countries other than USA and India. Its 2016 shipment guidance is lower than its Chinese peers at 2.8 – 2.9 GW. Its nameplate capacity stood at 2.7 GW. First Solar has managed to survive in this industry for more than 15 years, even as other leaders such as Suntech, Q-Cells and Yingli Green Energy have become bankrupt. The company has decent amount of debt unlike its Chinese counterparts and we all know the consequences of having a debt-heavy balance sheet in the solar industry in the past. GCL is one of the most well connected companies has been able to raise funds in huge amounts to finance capacity expansion in the solar. It is already the largest polysilicon and wafer player and with the cell capacity it could become a dominant solar panel player as well. SunPower is the largest residential installer in the U.S. The company is known for its high efficiency panels (proprietary N-type monocyrstalline silicon process) and has manufactured highly efficient panels in the last five years. Its X-Series panels are 22%+ efficient. Its commercial and residential solutions Helix and Equinox are also gaining traction. The company is growing its presence in the residential business significantly and expects to deploy 350-450 MW in 2016. Given the recent slide in solar prices, the company has planned a 1-1.5 GW of cell and panel capacity, compared to 4-5 GW of solar panel and cell capacity of major Chinese solar players such as Trina Solar and Jinko Solar. 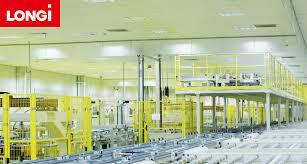 The company will keep investing in its Fab 4 facility which will make higher efficiency Maxeon 4 cells. Sunpower will get the majority of its revenues from system development segment. Its very high efficiency panels will serve the markets like USA and Japan, whereas its low cost panels (with efficiency levels ranging between 17-19%) will be supplied to the other global markets. SunPower has ~270 MW of projects in construction for 2016 in USA. The company is increasing its pipeline to other international markets as well, with new wins in Mexico, Chile, Japan and other Asian countries. 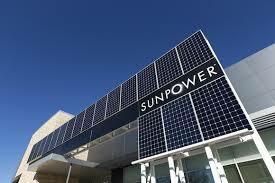 SunPower’s association with its parent Total (NYSE:TOT) have enabled the expansion in Middle East and Africa. Full year revenue guidance stood at $ 3.2 to $3.4 billion, with a gross margin of 14% to 16%. This company has survived a couple of major industry downturns, despite its costs being higher than the a typical solar panel made by a white label Chinese company. Longi Solar has championed a cheap form of monocrystalline silicon technology and has become the largest producer of mono solar wafers for the industry. The company has also made plans for a large downstream play in solar modules and cells through its fully owned subsidiary Lerri Solar. Longi Solar has acquired solar wafer assets of the SunEdison which gave it a foreign manufacturing base in Malaysia. The company is also bought the distressed assets of Comtec Solar in Malaysia. Longi has made another significant move by announcing the JV with industry leading players such as Trina Solar and Tongwei to build a giant 5 GW solar wafer factory in China. Longi has ambitious plans of setting up 5-10 GW of mono wafer capacity and another 5 GW of mono cell and module capacities. Shunfeng Clean Energy is the biggest independent private large-scale ground-mounted solar power service provider in China. The company has become one of the world’s biggest solar companies through acquisitions across the solar value chain. The company which is the owner of the erstwhile solar cell and panel leader Suntech has also bought companies in the U.S and Germany. It has also invested billions of dollars in solar projects in China. Shunfeng had plans to install 10 GW of solar capacity by 2016. China is the largest market for Shunfeng with approximately 70% share of total revenue and rest comes from international sales. Lerri Solar is a fully owned subsidiary of Longi Solar which is the largest producer of mono solar wafers for the industry and now plans for a large downstream play in solar modules and cells through Lerri Solar. 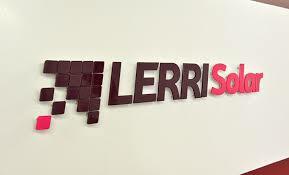 Lerri Solar is a manufacturer of high-efficiency mono-crystalline solar cells and modules. It is a Chinese company founded in 2007 and acquired by Longi in 2015. Lerri Solar has shipped over 1 GW in 2015 within China and will now ship to overseas markets in USA, Germany and Japan. Tongwei operates nationwide as well as in Southeast Asia with over 110 subsidiary companies and 20,000 employees. The company has 2000 MW of cell and 500 MW of module capacity. Founded in 2009 and specializing in wafer production, Tongwei also aims at expanding in downstream solar PV industry. Tongwei Group is planning a 5 GW solar cell capacity, after taking over LDK’s 2 GW cell capacity. The company also plans to buy the 15k ton poly capacity and is looking at increasing module capacity. The company is getting equity stakes from major upstream players like Longi and GCL Poly, which are the two largest wafer companies in China. Search by Tags:: 12 Biggest and Best Solar Panel Companies In The World, Are Chinese companies the best solar panel companies in the world?, Are Chinese companies the biggest solar panel companies in the world?, Which are the 12 Biggest and Best Solar Panel Companies In The World?, Which are the top 3 Solar panel companies in the world?, Which are the top 5 Solar panel companies in the world?, Which are the top ten Solar Companies In The World?, Which are the top ten Solar panel companies in the world?, Which Chinese companies are the best solar panel companies in the world?, Which Chinese companies are the biggest solar panel companies in the world? Does not “Solar world” get any comparison? Renesola needs a mention in the blog! company:Solar panels,Electronics,Led /Lcd tv lcd ,Dvd. i will be pleased to receive your reply by quoting for us prices of the above C&F transportation to Mombasa Kenya seaport, East-Africa.Since we are basically interested in purchasing a huge volumes of those items.your company by adding us to some of your products on your supply line under the payment of Open credit insurance (O/A) 100% of 45 days to 120 day, after the bill of lading day If this is okay with you please send us an email and let us know the procedures so that we go ahead with the business.